We sampled a few lunch favorites selected by the staff as well as a few of their cool cocktails. To start we had the Tater Tots & Salmon Salad which is just what it sounds like atop arugula with green and white aioli. This salad is apparently a guest favorite, which surprised both the staff and us, but we do give it points for originality. Another guest favorite is their Bologna Slider with Swiss, 1000 Island dressing, and potato chips on a King’s Hawaiian Roll (one of the only items not made in house because sometimes you can't beat a classic). A traditional burger, Mediterranean lamb, fried and rotisserie chicken sliders are also popular lunch options. We had the full size version of their buttermilk brined chicken slider which won this summer's Chicken Fight event! Each day there will be an added sandwich feature during lunch to test out chefs’ favorites and the FNG team will mold their lunch menu based on diners' favorites. 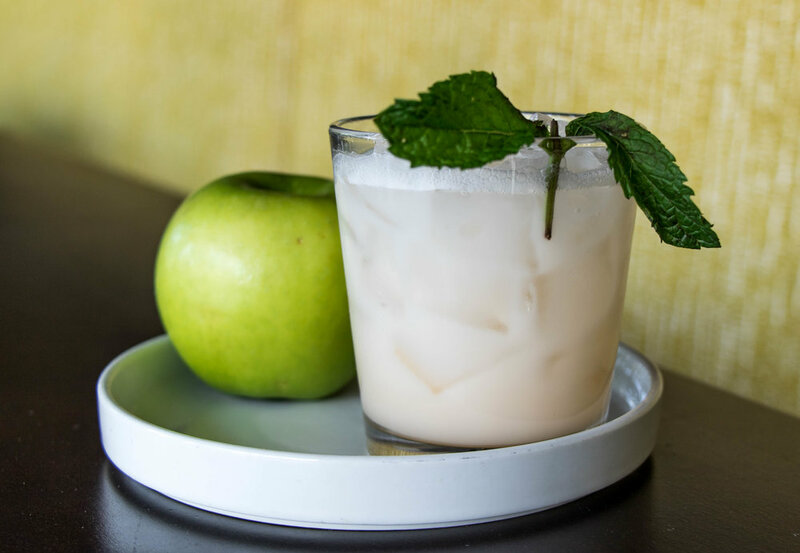 FNG's all-day menu features ten craft cocktails that drift from the mainstream in their unique ingredients and booze-y bite. We loved the Almost Famous that pairs ruby red flavored vodka with coconut milk and the smoky mezcal meets blackberry cocktail Bramble On. Also tasty is the "secret" dessert menu with nostalgic favorites like Banana Cream Pie and the Dirt Cup as known from childhood. 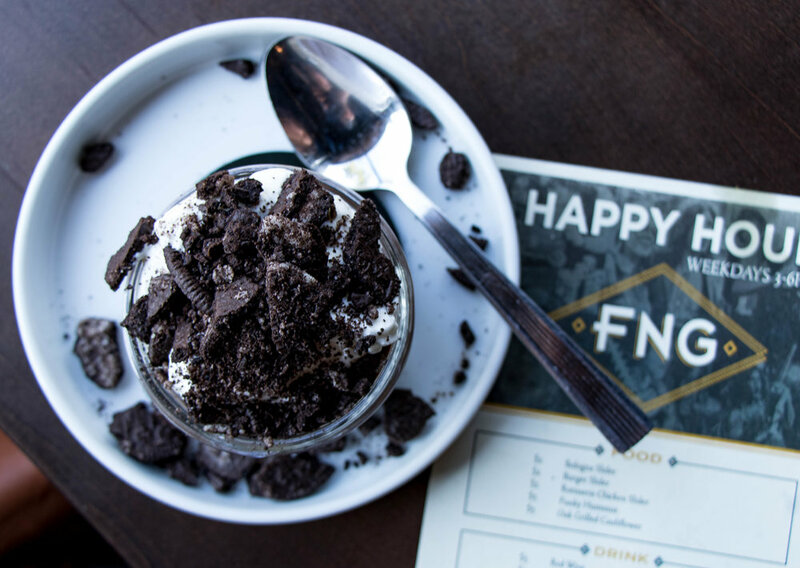 FNG served Happy Hour weekdays 3-6pm and if you order from their special Live Nation section of the menu you'll be entered to win tickets to an upcoming Live Nation concert! And winners also receive a $50 FNG dining credit so you can come party/eat before the show!